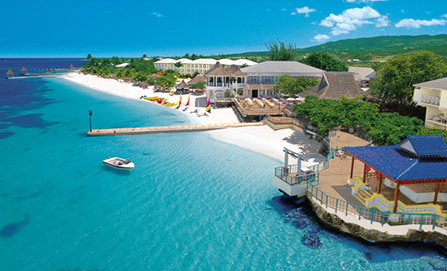 Sandals Montego Bay is where Sandals began, so it makes a perfect beginning for those who want the ultimate escape. This casually elegant Ultra All-inclusive, couples-only resort is part of Sandals' "Classic Collection" and is situated on 26 acres of lush gardens fronting Jamaica's largest private white sand beach. Upbeat and lively, Sandals Montego Bay sets the trend for excitement, romance and our famous service that keeps guests coming back year after year.